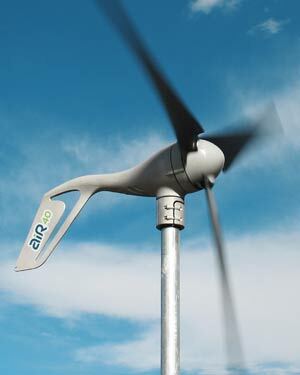 AIR 40 is the premier micro-wind turbine for land-based applications. It operates efficiently across a wide-range of wind speeds, providing energy for telecom, water pumping, lighting, SCADA, off-grid homes, or other low energy demand battery charging applications. 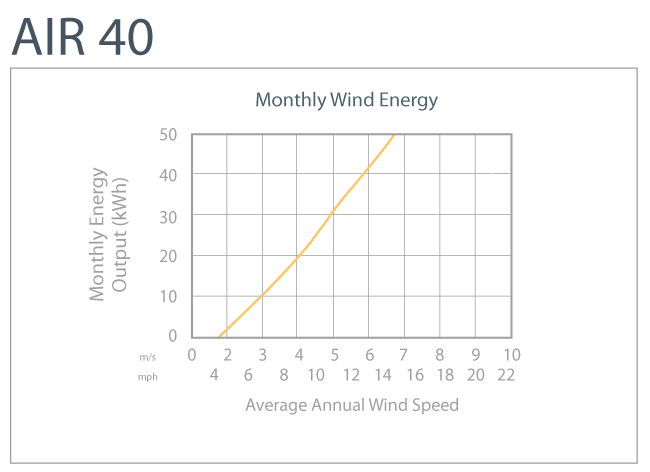 The AIR 40 is ideal for pairing with solar to offset seasonal variation, delivering more consistent energy. Blades designed for quieter operation, durability and optimum energy capture in most wind speeds.